Gordon Raymond ‘Mick’ Ibbett was a toolmaker with a lifelong membership of the AMWU. For 35 years he was an ALP member, holding most Branch, SEC and FEC positions. His interests included politics and the Union movement. He lived at Stanmore. Mick Ibbett was a Foundation member of the South Sydney Community Aid and served as its Chairman for 15 years and was Vice-Chairman and member of the Royal South Sydney Hospital Board. Mick Ibbett was elected member of the Legislative Council on 23 March 1984, serving until July 1991. Mick Ibbett was elected Alderman of the South Sydney Municipality, 1969-74 and was Deputy Mayor between 1969 and 1972 and 1979 and 1980. Ibbett served as Alderman for Northcott Ward, 14 May 1960 until 13 November 1967 when the Council was placed under the control of a City Commission. 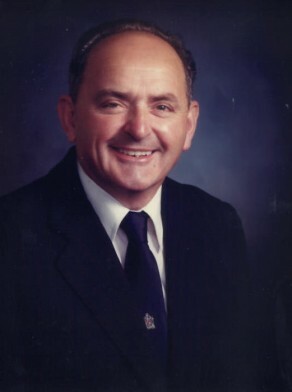 Ibbett was re-elected as Alderman for Waterloo Ward, 1 January 1982 to 13 April 1984. He was a member of the City Planning and Improvements Committee, 1962-67 and Vice-Chairman in 1964. He belonged to the Works Committee, 1961-67 and served as its Vice-Chairman between 1964 and 1967. He was a member of the Health and Recreations Committee, 1961 and 1965, the Works Committee in 1965 and was the Chairman of the Building and Development Committee, 1982-83. He was a member of the Metropolitan Water Sewerage and Drainage Board and was also a member of the Sydney County Council, 1960-63, acting as Chairman in 1962.